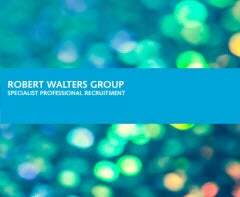 Our strategic objective is to be the world’s leading specialist professional recruitment consultancy with a clear competitive differentiation based on the quality of service delivered to our clients and candidates. Download our 2018 Annual Report and Accounts. Trading Update for the quarter ended 31 March 2019. © 2016 Robert Walters. All rights reserved.